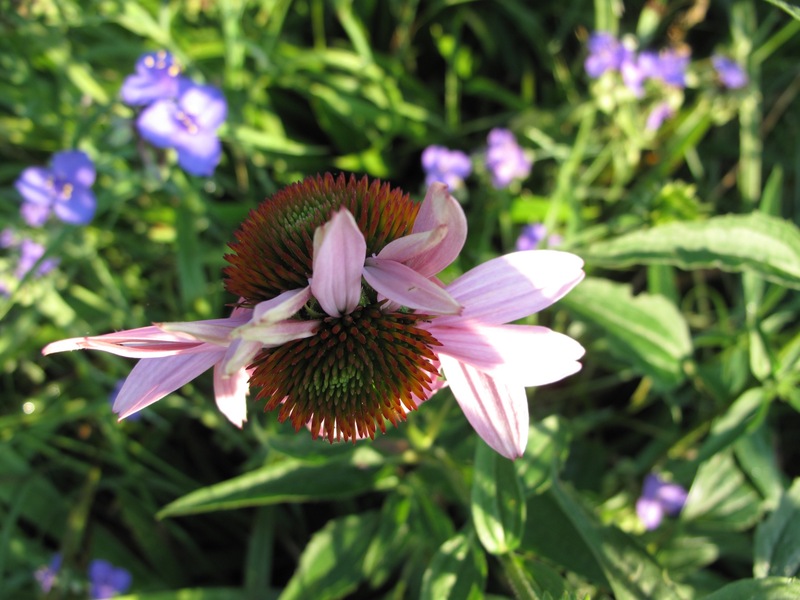 This entry was posted in garden and tagged Echinacea purpurea (Purple Coneflower), garden photography, words on June 15, 2016 by pbmgarden. That is weird, I suppose it is caused by damage to the bud, either from insects or cold. It’s an interesting oddity. 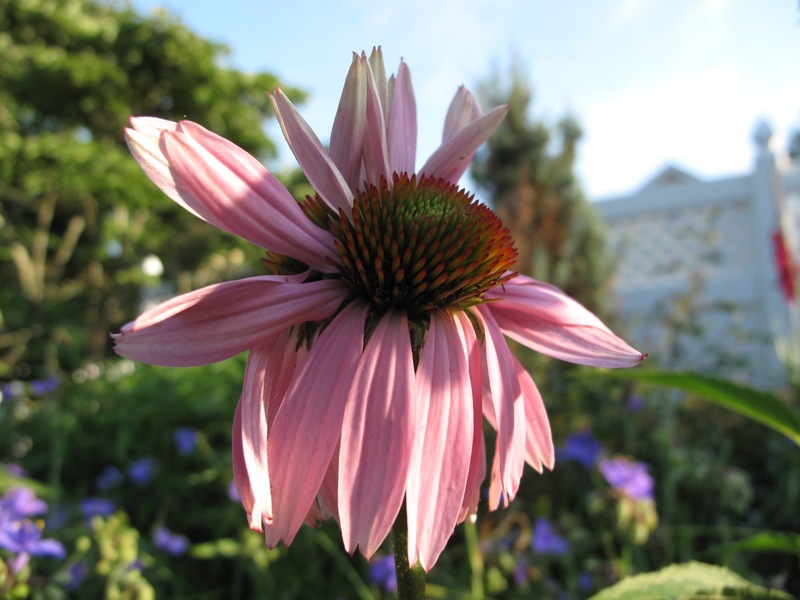 Echinacea are flourishing all around the borders this year with no signs of distress. Yes, some quirky fun she’s having. 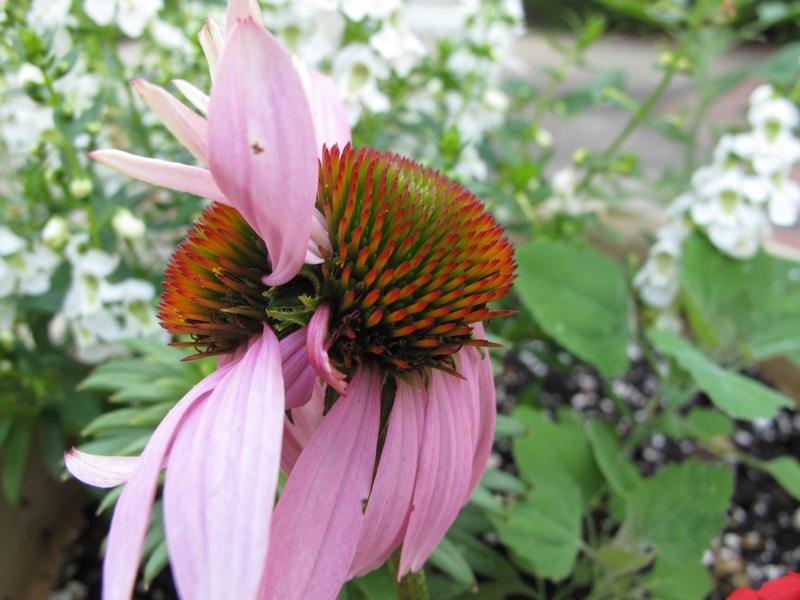 Back to back blooms or push me pull me bloom. Push me pull me–I like that Malc! Wow Nature is fascinating! Love these pictres! So true Donna. Nature likes to have fun. I love it when these kinds of things happen in the garden. Thanks for sharing. Was a fun surprise to come upon this. How lucky, two for one. I wish sunflowers would do this, then I wouldn’t have to worry which side of the garden to plant them! I’d appreciate that feature in gladioli also! Was so surprised to come across this oddity the other day. 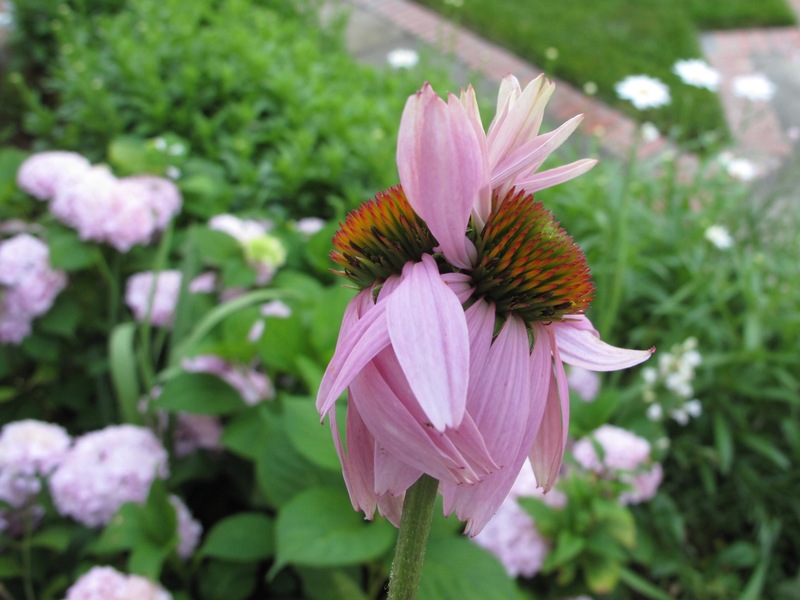 I definitely take a double look when I see a floer behaving out of character! SOmetimes I think they go too far with the hybridization. I am a non-GMO person myself, but I have to say this gets a giggle from me! Hard to say what’s going on in this case but glad you had a giggle out of it Jayne. Goodness, whatever have you been feeding it on? 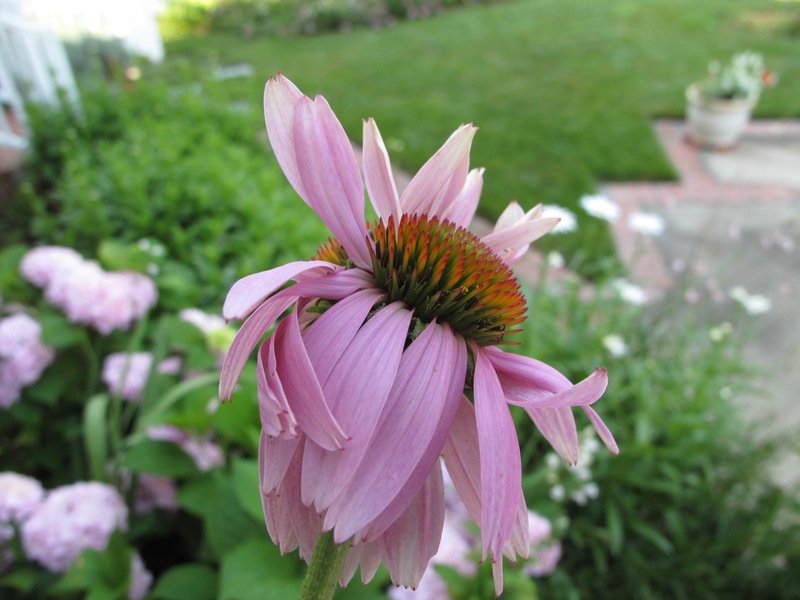 You know my garden–everything that survives must do so on neglect. 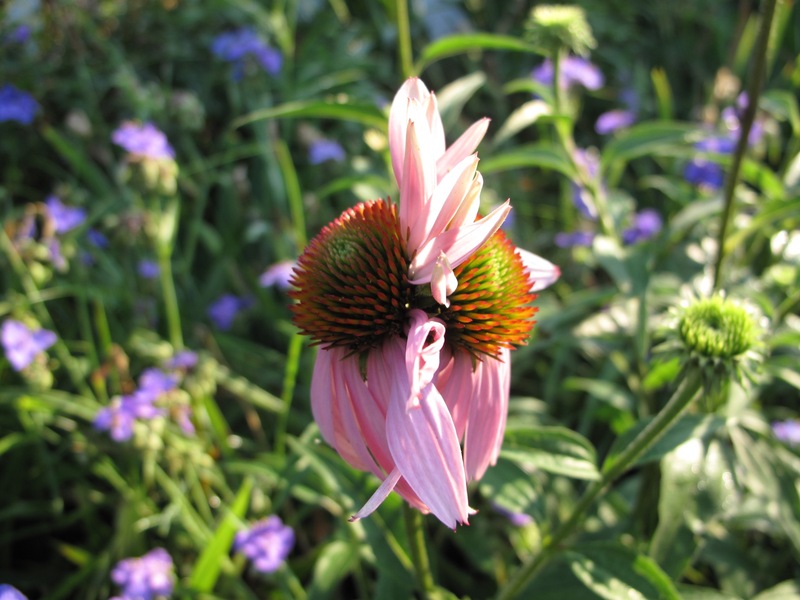 This echinacea got a double-dose of something though. Yes, very odd to find this double flower.